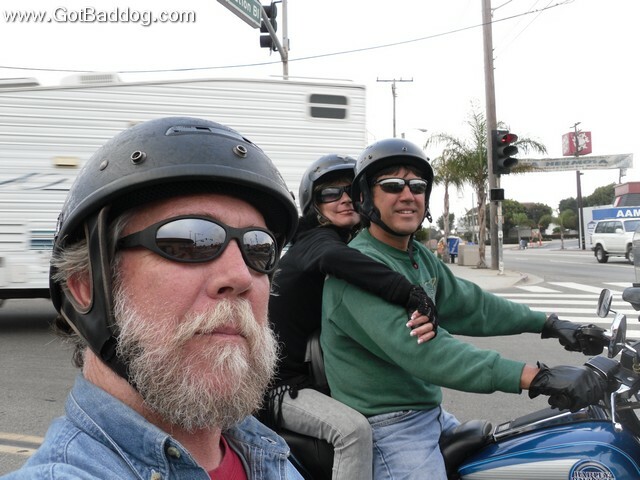 Twenty some odd years ago I was riding out to Hermosa Beach to meet my then wife at our favorite watering hole for lunch. Soon after being seated, this guy I recognized vaguely came up to talk. In a nutshell, he had a Harley-Davidson Sportster and wanted to know where I went to have work done on my bike. I told him I did all my own work. He told us a story of woe, having brought his bike into a local shop that was notorious for doing crappy work. To make a long story short, I gave him my address and told him to stop by and I would teach him to work on his own bike. My photo of the day for day 248 is of Phil, his wife and I, who after 20 plus years have remained friends and go on occasional bike rides together. It is true, you do meet the nicest people on a Harley-Davidson. August can only get better, and I know it will. Since the first day of August is Sunday, I attempted to go for my Sunday ride. Since an out of town friend said he wanted to meet me at Gu Gu Sushi to try the new baddog roll, I decided to keep my destination within 100 miles. 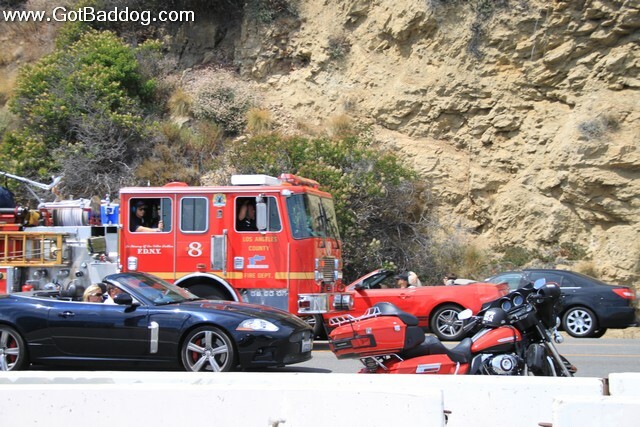 Unfortunately, since it was such a nice day, everyone in Los Angeles County decided to hit the road also. Add a few scattered brush fires and the traffic becomes unbearable. Have the friend flake out on sushi and I had the trifecta. My photo of the day for day 213 is just but a small example of what I dealt with today. Sometimes, staying home is the better idea.